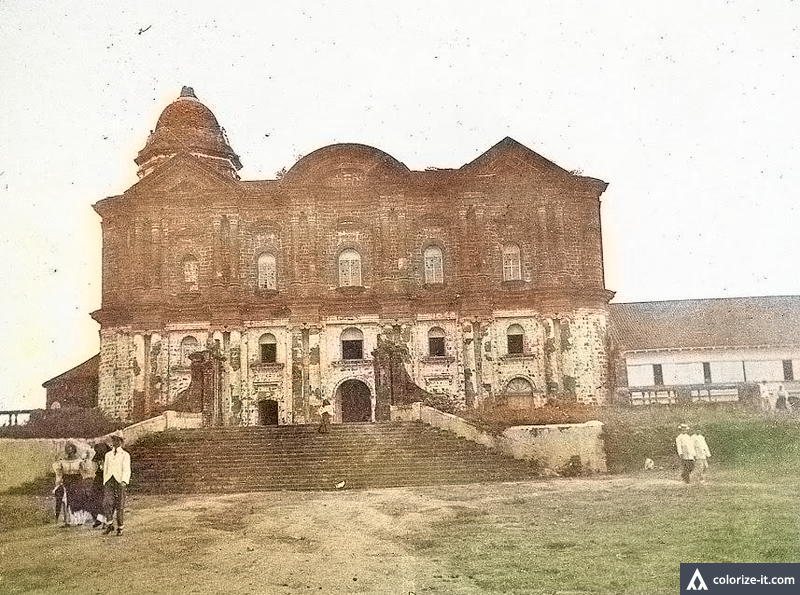 The Taal Basilica during the American Era. Image source: University of Michigan Digital Collection. Colorized courtesy of Algorithmia. A 1934 Anthropology paper written by one Crisologo Atienza documented a remarkable business model used by the merchants of Taal that was totally dependent on Filipino honesty. The paper, entitled “The Industrial Survey of the Town of Taal, Batangas Province1” is part of the Henry Otley-Beyer collection of the National Library of the Philippines. There were local industries in Taal that produced bamboo baskets, buri mats, sacks called “bayones,” whips, leather products, cotton cloths and towels and many others3. Add to these dry goods, hardware and other miscellaneous products that were shipped to Taal by steam ships and the town had become something of an entrepôt. In contrast, Atienza wrote, to surrounding towns which were still very much agricultural in nature. There were also traveling merchants who peddled their goods from house to house. These merchants roamed the Ilocos provinces, Pangasinan, Mindoro, Tayabas, Laguna, Marinduque, Romblon, Catanduanes and Albay. They brought with them sinamay, jusi and piña products and other woven cloths, slippers and bolos. Many of these merchants followed a business model totally dependent on Filipino honesty. To coax people to buy, especially those who did not as yet have the capacity to pay or were waiting for potential income from, say, the harvest of crops, the merchants were prepared to leave the products with the buyers without payment. No credit documents were ever signed or exchanged. Neither were receipts ever issued. All transactions were conducted purely on the basis of trust and honesty. The merchants returned the following year, usually after the harvest season, to collect their payments. Remarkably, very few of the buyers defaulted on their payments. This, Atienza conjectured, was due to the Filipino’s natural honesty, especially those who lived in the barrios and remote places. To conclude, and especially so in the context of Filipino society in the present day, one is tempted to ask where this natural honesty has gone; and more importantly, why has it seemingly disappeared? 1 “The Industrial Survey of the Town of Taal, Batangas Province,” by Crisologo Atienza, 1934, online at the Henry Otley-Beyer Collection of the National Library of the Philippines Digital Collections. 4 During a CEAP Congress in Davao in 2003, colleagues and I bought presents from a market stall owned by a family originally from Taal.